Wine-making really is our passion, and we’re grateful for the support and encouragement from all our customers. It’s not unusual for us to quickly sell out of our new releases. Our Wine Clubs ensure that our loyal customers are always the first to know and never miss out. Free delivery of purchases of 3 bottles or more. Four times a year we will send you three bottles of wine selected from across our Lord Rutherford Reserve and Brightwater Vineyards wines. (That’s only one bottle a month!). We will email you our recommendation and you’ll have the opportunity to change that selection to suit your personal taste. With this will be a winemakers notes for the wines and a delicious recipe. Upon joining you will receive your first selection of Lord Rutherford and/or Brightwater Vineyards wines, as per your selection, along with an assortment of our wine infused gourmet chocolate truffles. 15% discount off the cellar door price for all your wine purchases. 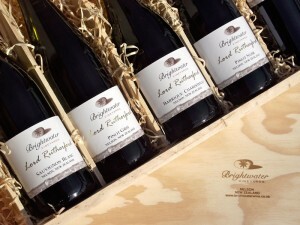 15% discount on Brightwater Vineyards Gift Vouchers – great for Christmas! Free delivery for purchases of 3 bottles or more. Priority access to our limited production Lord Rutherford wines – only obtainable from the winery. 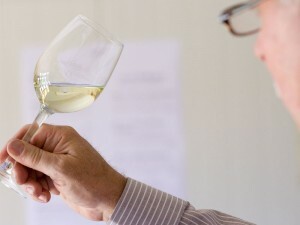 Priority access to Cellar Door tasting and other events. Access to older vintages from our own personal cellar. AND on your birthday we will send you a very special birthday treat! Four times a year you will receive six bottles selected from our Lord Rutherford reserve and / or Brightwater Vineyards wines. Included will be winemakers notes for the wines and a delicious recipe. Complete the form below and we’ll be in touch with further details.